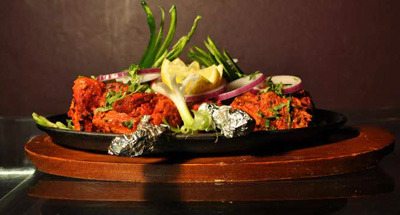 Gokul Indian Restaurant serves up delicious meals, with authentic flavours that include regional cuisines from all over India. You can expect to find more here then you're used to from your usual Indian restaurants, and it is a good way to open up to many flavours that surround Indian cuisine. The restaurant is furnished in authentic style, adorned with Indian murals and enlivened by latest Bollywood music. 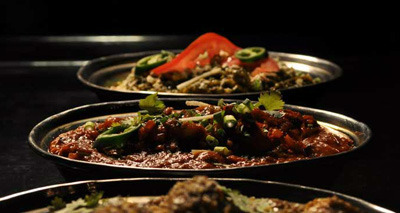 It welcomes you with the intriguing flavours of an Indian eatery. The menu offers a variety options including chicken, lamb and goat curries. One Indian dish, 'chaat', can be found all over the streets of India, often called 'Chaupati Special' (meaning beachside special). It is made up of stuffed potatoes, chickpeas, onion garnished with yoghurt, traditional blend of sweet tangy sauce and special chaat spices. Many places across Sydney fail to replicate the delicious street food taste that can be found in India, but thankfully Gokul get this right. There is also good news for vegetarians. If you often have to limit yourself to 'paneer' (cottage cheese) curries at Indian restaurants, get to choose from plenty of delicacies at Gokul such as 'bhadatu' (eggplant), 'Bhindi masala' (Okra) or 'Undhiyu' (Gujrati special). Starting with the 'Palak papri chaat', I have finally discovered the best place to find chaat in Sydney. Their 'biryani' is special and so is the 'paratha'. I guess homespun recipes are the secret to great Indian food. The service is not extra ordinary but if you want to make your palate sizzle and want the flavours that go past regular takeaway tastes, Gokul is a place to go. Very true! Bajra rotlo is perfect! Gokul is good food and value for money kind of place, Rotla, Chat, Parathas, Bhurta etc. are very nice dishes. Interesting subjee is Shev Bhaji made of shev, spicy and yummy.